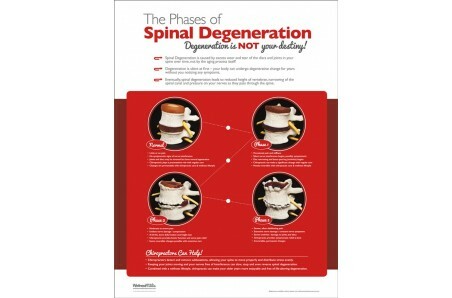 A clear and concise way to show your practice members the stages of degeneration. 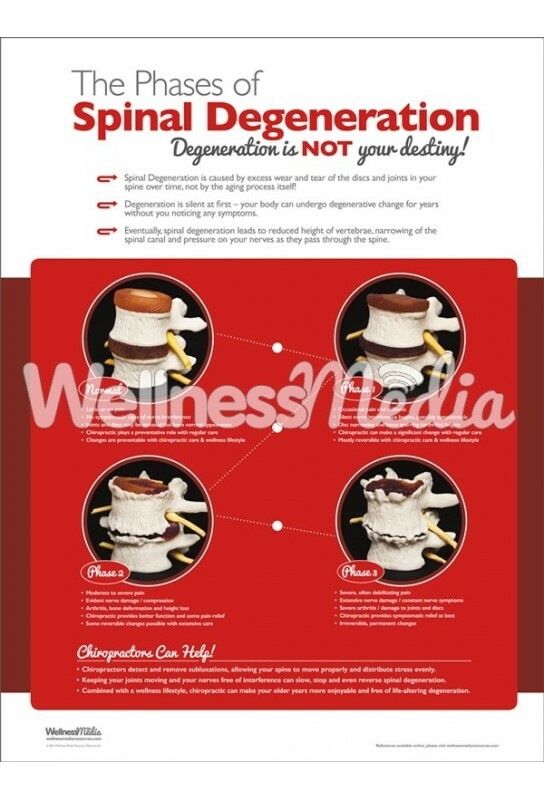 More importantly, this poster addresses the true reasons for spinal degeneration and how chiropractors can help. 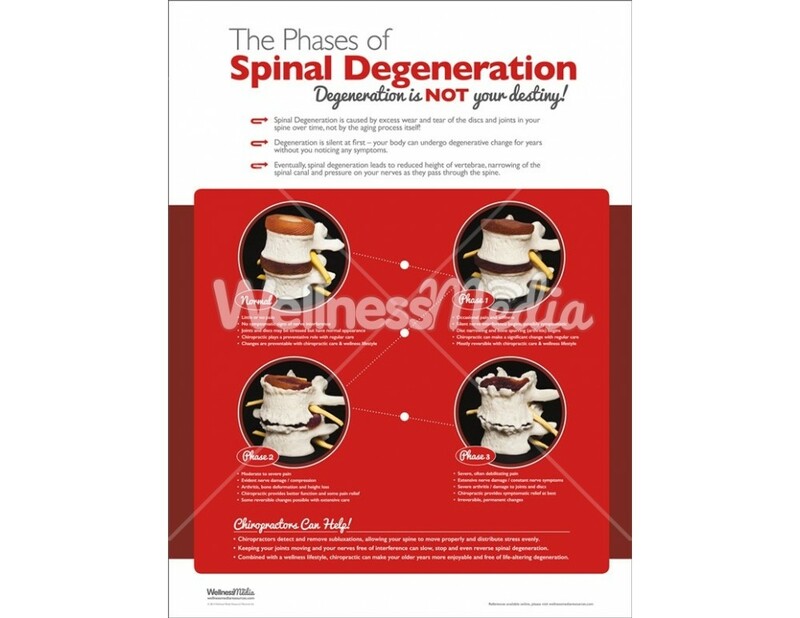 This phases of spinal degeneration poster shows vertebrae through the different stages of degeneration, visualizing disc degeneration, osteophyte formation and nerve compression / irritation.